automatic loading and unloading of the load. The benefits are clear. Furthermore, no automatic loading / unloading systems are required in the trailer. This means that the loading capacity remains guaranteed, without the need for extra investments. 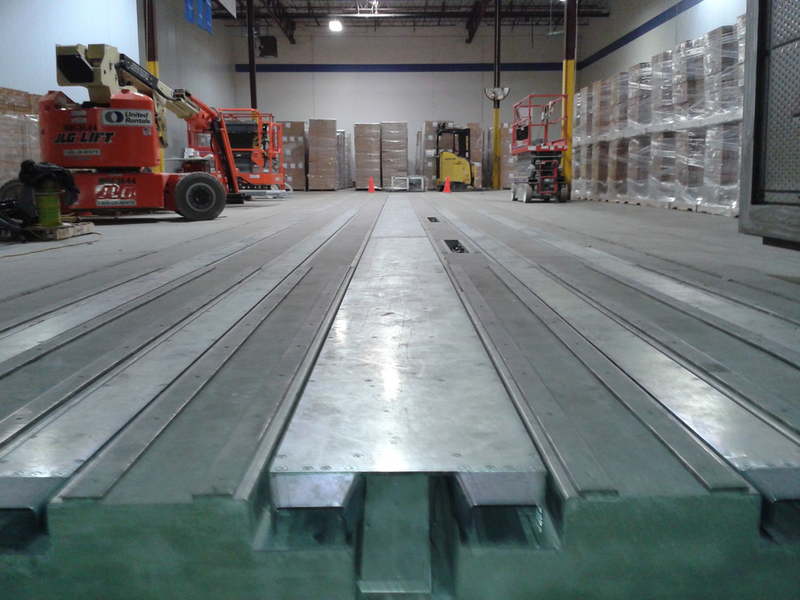 The skate system is a fixed system, installed at a fixed location for the loading / unloading platform, or on a traverse truck that can serve several docks. The transport platforms, mounted on a steel frame, lift and move the load. The main function is to automatically load and unload a complete load in one go. However, the pallets are first of all configured to create a compact unit, ready for handling. 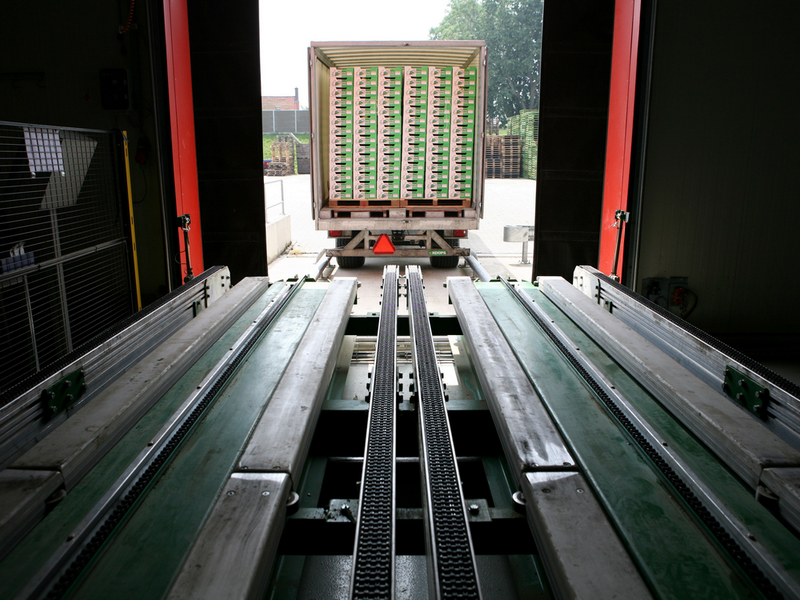 Ancra’s skate system allows 33 Euro pallets to be loaded / unloaded in a process that is completed in six minutes. Click on the link to see how the Load Runner works.